In today’s fast paced, fast food world, it is important to look for ways to help keep our colon healthy and clean. This not only helps you feel better and less bloated, but could prolong your life and keep you from illnesses such as colon cancer, Irritable Bowel Syndrome, diverticulosis and many more preventable diseases. You can actually detox your colon by just following a few easy to implement routines. 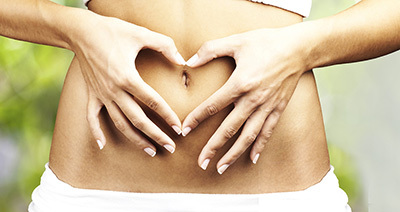 Colon Hygiene Institute suggests the following colon hygiene and regular internal maintenance in Las Vegas. Eating fiber is an easy way to help your colon. Even with our efforts to stay away from gluten rich foods, you can still find fiber in foods such as bananas, prunes, broccoli, sweet potatoes, brown rice, grains and even avocado. The list is endless and can be done without loading up on gluten. Your body needs about 25-40 grams of fiber daily, which will keep your colon clean by moving waste efficiently through the colon. According to the American Journal of Clinical Nutrition, you need the sun, or Vitamin D to help prevent colon cancer and other illnesses. The best way to get Vitamin D is about 20 minutes soaking up the sun. Water intake is so very very important as it flushes out toxins. Depending on your body weight, depends on how much water you should be drinking. A minimum of 64 ounces daily and as much as half your body weight is a good rule to follow for water intake. Increasing oxygen by exercise will not only be great for staying in shape, but also helps to keep your colon healthy. Even just 20 minutes of walking is sufficient, so going extreme is not necessary. Don’t skip the colonoscopy, as it can be a great preventative step to warding off or early detection of colon cancer. We can help you flush out your colon. Colon flushing (also known as colon hydrotherapy) is a procedure that will help rid you of buildup in the colon and maintain a clean healthy environment. If you suffer from constipation or Irritable Bowel Syndrome or other digestive issues, colon flushing could be your answer. It is so important to maintain a healthy flora in the colon so we suggest you not try this at home, as you can do more harm than good. If you are fighting digestive or bowel problems in Las Vegas, taking steps to proper colon hygiene and regular maintenance may help you. To schedule an appointment or to ask questions about colon hydrotherapy in Las Vegas, please give Colon Hygiene Institute a call at 702-870-0704.